The Richard Fine case is a clear-cut modern example of how American government imprisons people over political issues in which the target of imprisonment has not committed a crime or been charged, tried, or sentenced for any crime. In this case, it is the California courts and the government of Los Angeles County that are engaged in violating the law and seeking to silence a political opponent who has raised legitimate questions in a court case about the legality of payments made to judges of the Los Angeles Superior Court and their apparent bias towards those illegally providing those payments. To silence him, Richard Fine has been subjected to more than a year of jail time in solitary confinement without any due process. US Supreme Court Justice Ruth Ginsberg has scheduled a meeting on April 23 to discuss the court hearing Richard Fine’s case. On April 23rd, therefore, the nine ultimate guardians of American’s right to due process, the justices of the U.S. Supreme Court, will consider whether corrupt California judges and county supervisors will finally be brought to heel. Will the justices be able to rein in any inclination to protect their embarrassing and felonious brethren? Will they be able to look past the arrogance of the unindicted judges who cavalierly assume the justices will compromise their own principles and legacies just to keep some crooks in robes out of jail? They knowingly stole taxpayers’ hard-earned dollars and granted themselves retroactive immunity from criminal prosecution and civil liability when they were finally caught. Yet who goes to jail? The one person, obviously, who refuses … on principle … to violate his sworn oath or kowtow to the faux muckety-mucks who’ve somehow fooled themselves into believing they are superior to their employers, We the People. Luckily, November is just around the corner. Protests in Los Angeles and Washington, D.C.
With the news that the US Supreme Court is considering taking on the case and is meeting on April 23 to discuss it, citizens outraged by the government abuse have planned to show their support of Richard Fine in demonstrations against court and government corruption in Los Angeles at the county courthouse and Washington D.C. on the steps of the US Supreme Court on April 20. Attire: Wear A Red or Yellow Shirt and comfortable shoes! You may pick up a sign (chose any one of six) directly across the street from the courthouse. Parking: Lots directly across the street from the courthouse are between $18-$22 for the day. Less expensive parking is $9 all day @230 So. Hill Street. Cause: It is time to show our spirit and support Richard I. Fine as he fights for our Civil and Constitutional rights. We are protesting Richard’s illegal incarceration and the torture he has been subjected to. Richard has been in jail now for in excess of one year while he has boldly taken on challenging court corruption from his cell where he continues to be held in solitary confinement. Richard Fine brought a lawsuit into Los Angeles courts over the appearance of corruption of violation of the law involving illegal payments by the Los Angeles County Board of Supervisors to judges in the county. 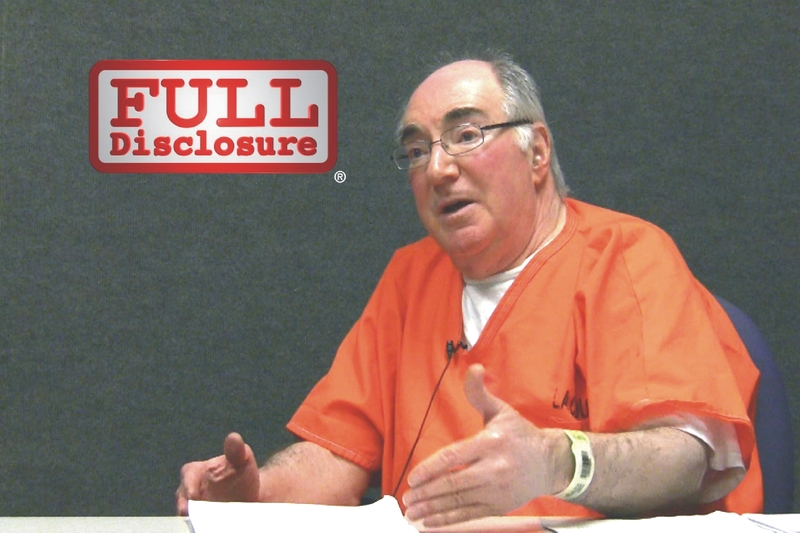 Rather than hearing the case, the courts and government at the county and state levels have conspired to silence Richard Fine by throwing him in jail to silence him and working to destroy his career by disbarring him for bringing the case. Richard Fine is no crackpot or extremist. He was once a star anti-trust litigator for the US Department of Justice and holds a Ph.D. in international law. The man has a strong track record as a protector of citizen’s rights and interests. If he can be turned into a political prisoner in America, anybody can. The Law Offices of Richard I. Fine & Associates (richardfinelaw.com) web site says he established the firm in 1974. His credentials include a Doctor of Law from the University of Chicago, a Ph.D in International Law from the London School of Economics, a Certificate from the Hague Academy of International Law, among his many other awards, including Lawyer of the Decades 1976 – 2006. He’s also been widely published in legal journals with regard to antitrust, comparative and international law. Fine’s resume is long and impressive. Before entering private practice, he “founded and was chief of the first municipal antitrust division in the United States, for the City of Los Angeles.” He was also Special Counsel to the Government Efficiency Committee of the LA City Council, and a member of the US Department of Justice Antitrust Division. In addition, he practiced law in London and with another firm before establishing his own. He was also Norway’s Southern California Consul General. Corrupt Judge David Yaffe has tried to position his illegal order to jail Richard Fine without a trial as a “contempt of court” action over demands that Fine answer some questions that appear to have nothing to do with the case. But how does a contempt of court order over refusing to answer questions about seemingly irrelevant personal information posed by a judge warrant a person being held in solitary confinement for over 13 months? That this looks like trying to silence Richard Fine is because that’s exactly the purpose. Fine’s case exposes the dark underside of California politics and appalling level of official malfeasance, involving greedy developers, corrupt LA County Supervisors and judges, the state Supreme Court, its Bar Association, and the 9th Circuit Court of Appeals, co-conspiring to protect ongoing criminality and punish anyone challenging it. Fine is held in solitary confinement under horrendous conditions to punish him – with no fresh air, bright all-night overhead lighting, and no pen and paper to petition a higher court, a right even serial killers get. Also, reporters were denied permission to interview him. He’s not allowed to post bond or get a hearing, and is ordered to stay in jail until he relents and withdraws his charges. Fine revealed that Los Angeles County and most other California counties (55 out of 58) are illegally paying judges in their areas compensation beyond that provided by the State of California when state law requires the state to pay these judges and compensation from the counties was to be phased out starting in 1998. In many counties, the county government is the most frequent litigant in the county courts. On its face, a frequent litigant paying judges deciding its cases looks like corruption. Los Angeles is among the most egregious of violators of the law with its yearly payments to judges being approximately $23 million out of the $33 million of county payments to California judges. In Los Angeles County, the county pays approximately $57,000 per year to each judge above and beyond their state pay and benefits of approximately $208,000 per year. By doing so, they corrupt the judiciary with financial bias. Los Angeles judges are among the most highly paid in the nation thanks in part to the bribery from the county. Fine showed how the record of decisions in cases in Los Angeles almost without exception consists of rulings in favor of the county government. Given the illegal payments being made by the county to the judges deciding these cases, it not only looks like bribery and corruption on its face, but the results also show that there is good reason to believe it has the functional effect of bribery. 1. Fine exposed L.A. Superior Court judges of taking illegal money from the County, in violation of the California State Constitution. 2. The County Supervisors were using public tax money to pay off the Superior Court judges. 3. The Superior Court Judges decided cases in favor of the County (Fine reports that since 2005 to present, only 3 people have won cases against the County as a result of the bribes). 4. The California State Legislature have given the judges and County Supervisors immunity from prosecution for their actions and misappropriation of taxpayer money. 5. The judges have tried to get Mr. Fine disbarred from the California State Bar as a result of the lawsuit he filed on behalf of the taxpayers who were denied “due process”. 6. Superior Court Judge David Yaffe (accused judge) failed to recuse himself and sent Fine to prison. He also failed to cite any precedent (denying Fine “due process”). 7. L.A. County Sheriff LeRoy Baca illegally imprisoned Fine, and Fine is in jail today. 8. Fine should have been released within 5 days, according to the law. You as a private citizen would likely be prosecuted if it was discovered you were paying a judge who is hearing your case. The judge would probably also be prosecuted. Los Angeles County and its judges, however, benefit from precisely this kind of arrangement. The county spends a little money to bribe the judges and the judges help save the county legal fees by consistently siding with the county. Everybody in government wins. The citizens, however, are losers as their rights are trampled upon by the corrupt government and courts. Did L A Times Miss the Mark On Judicial Bias & Richard Fine??? Why Can’t The ACLU Help Jailed Attorney Richard I Fine?